It’s not normal, Suzie! haha, you know I kid. Normal is overrated anyway, and in this case, can make you fat! I’d love to be that kind of crazy. ;) You’re not the only one I know that isn’t a fan-my preacher’s wife doesn’t life pb and chocolate either but she actually loves sweets! 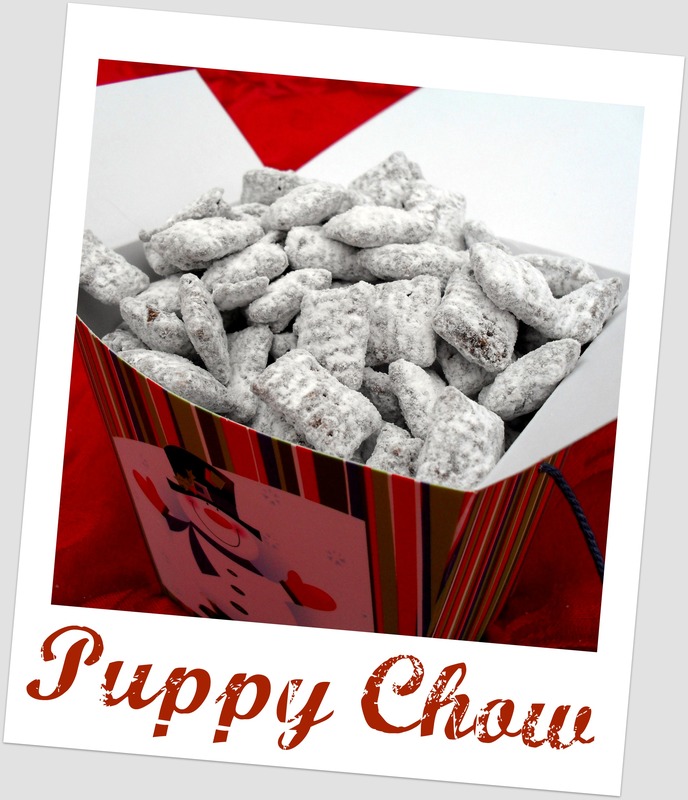 It’s very easy to make and I always have to make a batch to include with gift basket. You won’t be disappointed! Someone brought these great munchies to work this week. 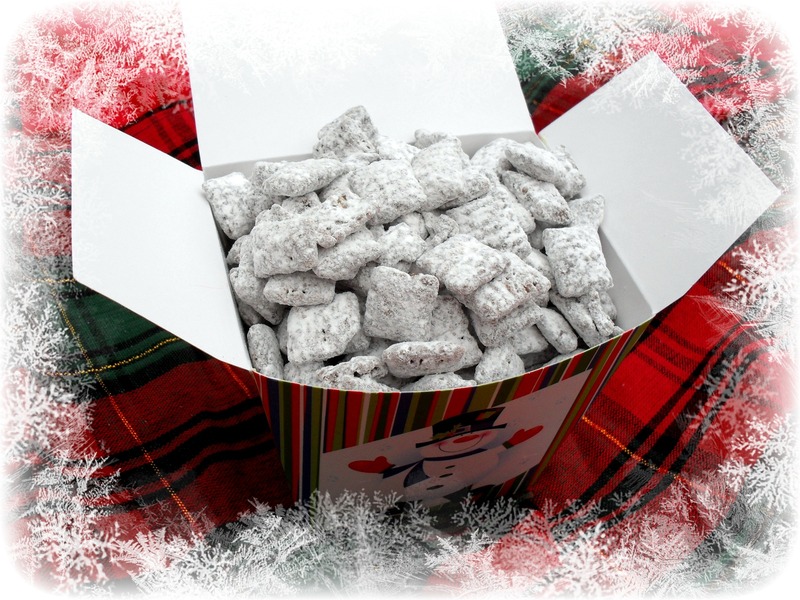 How come puppy chow is only made during the holidays? 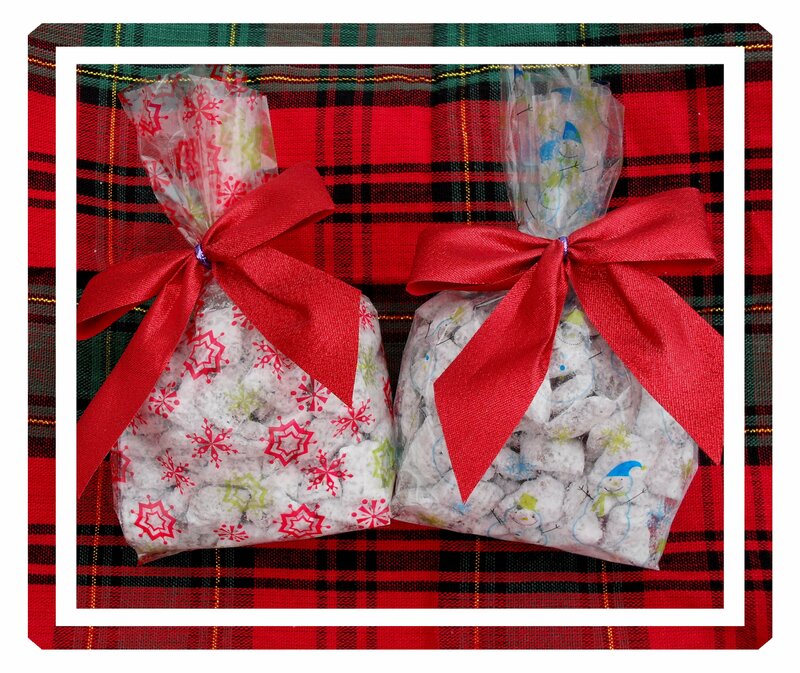 Who wouldn’t love to receive a lovely gift of this yummy stuff? I think I’ve had this in the past but never knew the recipe, thanks Veronica!